Back in 2015 Rihanna teased lyrics to a few songs. Most of those ended up on Anti but today we finally got to hear another one of those tracks. It’s N.E.R.D’s Lemon, which features Rihanna rapping on top of one of the group’s killer beats. Unfortunately, we don’t get to see much of Rihanna in the official video but I’ll fill you on what she wore. Jahleel Weaver styled Rihanna for this video and thanks to his styling assistant I’ve got all the details to share with you. 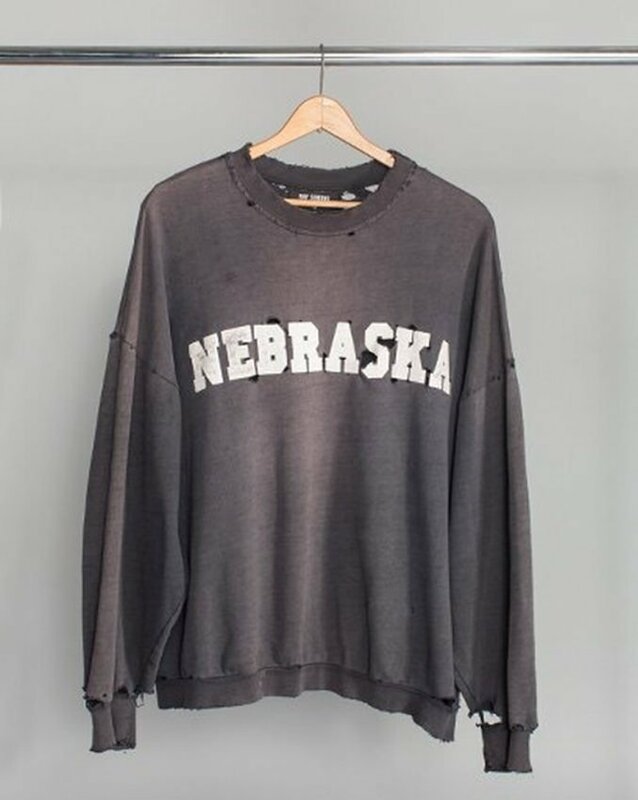 She rocked a Raf Simons “Nebraska” sweatshirt from David Casavant‘s Archive. It’s from the Fall/Winter 2002 collection and according to High Snobiety, each sweatshirt features unique distressing. So each one will look different from the next. Underneath that she wore a pair of Only Hearts shorts but we don’t get to see those. Her shoes are from Alexander Wang‘s Spring/Summer 2018 collection. The PVC sandals feature branded thigh-high stockings and a stiletto heel. Martine Ali designed the dog tag earring ($175), a Dami dog tag bracelet ($285) and a Cuban link bracelet ($150) Her chain and her other bracelet is from Chrome Hearts.